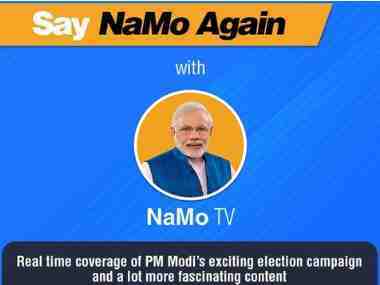 After an energetic start to his foreign tour, Prime Minister Narendra Modi has run into strong global headwinds. A lot of it is not his doing. Tectonic shifts in global order have affected India as much as any other nation whose growth is invested, to a large extent, on the free movement of people and goods underwritten by the post-Cold War Washington consensus. India has also been grappling with the rise of a hegemon in its backyard. Terrorism from across the border continues to bleed and distract us, drawing us into a reluctant war. The important thing to note is how India is reacting to the changes. To his credit, in the three years that he has been in power, Modi has shown an eagerness to engage with sovereigns and the willingness to put in the hard yards to deal with a global order in a state of flux. 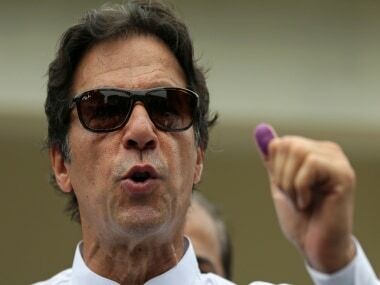 He has made some mistakes in working on assumptive theories on Pakistan and China, but once rebuffed, has shown an admirable fluidity in recalibrating his positions. 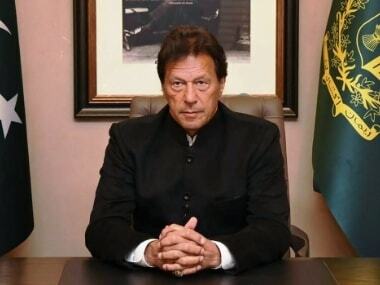 He has sought to use India's large and influential expatriate population as a tool of foreign policy, taken a hard line on Pakistan and China, while also going out of his way to build partnerships in the subcontinent based on India's geo-economic advantages. He has also begun to court middle powers such as Japan and Australia to counter China's imperialist expansionism. 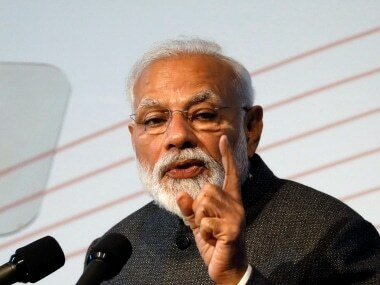 A common refrain runs through Modi's myriad foreign policy initiatives — an attempt to look at the bigger picture — and he has been pragmatic enough to base the initiatives on realism, not idealism. This is a crucial departure for a nation that has long sought to engage with other sovereigns based on how it would like the world to be, and not how it is. Carnegie India director C Raja Mohan, in The Indian Express, writes of the three tenets that guide Modi's diplomacy: "One, diplomacy is about making friends into allies, neutrals into friends, and adversaries into neutrals. Second, political will and adroit diplomacy can alter the perspectives of other nations on issues of vital interest to India. Third, as the interests of countries evolve, so will their positions over time." Nothing exemplifies this vision more than his ongoing four-nation trip of Europe starting with Germany, followed by trips to Spain, Russia and France. As American exceptionalism comes under challenge from a world struggling to cope with the collateral damage caused by Islamist terrorism, backlash against globalisation and the rise of a mercantile superpower in China, Modi has rightly seen an opportunity to extend India's engagement with middle powers that may provide India the cushion that it badly needs. 1. Showcasing the economic opportunities that India offers, now under a unified tax regime. 2. Finding common ground on the global scourge of terrorism. 3. Focusing on partnerships and reinforcing commitment on relationships at a time when new alliances are forming and old ties are breaking down. It wouldn't have escaped Modi's notice as he touched down in Berlin that Angela Merkel — with whom he is scheduled to have a private dinner on Monday at the chancellor's Schloss-Meseberg country retreat — has warned Europeans that they must take their fate into their own hands rather than "completely relying on Trump's US and a post-Brexit UK." To the extent that the German chancellor will meet Modi at a private setting in a castle meant for high-level engagements, it shows that Germany attaches a lot of importance to the meeting and Merkel is willing to see what Modi has to offer. As Seema Guha writes in Firstpost, "Germany is India’s largest trading partner within the EU. It is also one of the leading foreign direct investors in the country, with as many as 1,600 German companies operating in India. Six hundred joint ventures are already in place." Yet, for nations that share democratic values and free trade, the strategic partnership hasn't reached the heights it should have. Part of the problem lies in the delay in talks between India and European Union (EU) on free-trade agreement (FTA) that has been hit by the Brexit bullet and the lapse of bilateral investment treaty. The EU rejected India's 2015 model Bilateral Investment Treaty on the grounds that it kept taxation out of its ambit and kept international arbitration as last resort for any dispute. The EU wants more protections for its investors and Modi will have to convince the hard-nosed Germans that 'retrospective taxation' won't upset India-German bonhomie. In a Facebook post, Modi says "India and Germany are large democracies, major economies and important players in regional and global affairs. Our strategic partnership is based on democratic values and commitment to an open, inclusive and rules-based global order. Germany is a valuable partner in our development initiatives and German competencies fit well with my vision for India’s transformation." Trouble is, transformational relationships are rooted in the hard realities of quid pro quo. The intergovernmental consultations and the meeting of top German CEOs will likely be dominated by talks on bilateral treaty. If Modi manages to hard sell India as an investment destination, he will find the Germans much more receptive towards accepting India's concerns on terrorism and Chinese expansionism. From Modi's stress on 'commitment to rules-based order', it is evident that India will explain its core concerns against joining Chinese president Xi Jinping's Belt and Road Initiative. 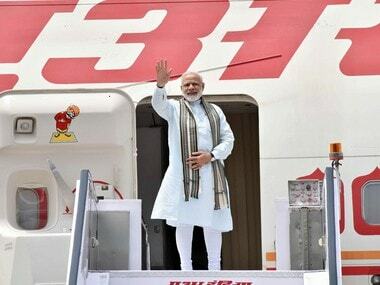 As Livemint points out, in his next stop — Spain — Modi will become the first prime minister to land on Spanish soil for a bilateral visit since Rajiv Gandhi in 1988. The focus will be on deepening trade and investment with an eye on Make in India initiative. In his visit to France, Modi will meet president Emmanuel Macron, and terrorism is expected to figure high on the agenda. It is during his Russia visit, (31 May - 2 June), when Modi attends the 18th India-Russia Annual Summit and addresses the St. Petersburg International Economic Forum (SPIEF), that his skills as a negotiator will be tested. Modi faces the challenging task of thawing the India-Russia relationship. The historic tie has lost its ideological moorings. The new relationship is based purely on economic interests. Modi will be under pressure to convince Russian president Vladimir Putin that the ties between the two countries run too deep for Russia to lean towards a Russia-China-Pakistan axis. In a Facebook post, Modi writes: "I greatly look forward to my visit to Saint Petersburg in this special year for the bilateral relationship as both countries celebrate the 70th anniversary of our diplomatic relations." But will that be enough to wean a stagnating Russia away from a partnership with China, where it risks becoming just another client state? And how does Modi plan to balance his Russia outreach with the United States' 'Rebalance to Asia'? We'll have to wait for the answers.